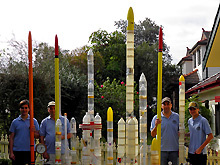 You can find construction details for a simple water rocket in the Basic Construction section. For more performance or building bigger ones there is the Advanced Construction section. Articles covering a wide variety of topics. 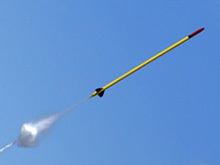 These include tips on how to get your rocket to fly higher, how much water to use, folding a parachute and much more. A full listing of all of Air Command flight day reports, including photos, videos and experiment results. 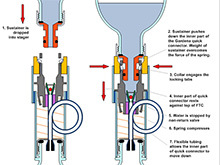 A set of articles that describe in detail how various principles or rocket mechanisms work. Includes things like drop away boosters, staging mechanism designs and parachute deployment. 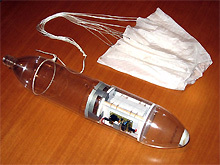 A set of articles containing various rocket related electronic designs. This includes parachute deployment electronic timers and flight computers. A list of all the major rocket project build logs from Air Command. Each build log contains detailed information and photos about how each rocket was built, tested and flown. A detailed specification list of all Air Command water rockets built over the years. 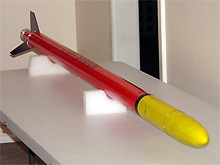 Includes dimensions, weights, pressures used and all the variants built of each rocket. Read these Safety Guidelines first! 24th January 2019 - Released Part 9 of the Horizon Project. 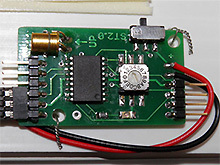 - Launcher Electronics. 19th December 2018 - Day 201 update that includes the Shock Cord Release Mechanism. 15th December 2018 - Search page now works again, 10 Challenges and Glossary pages page updated. 1st December 2018 - Day 201 update - We explain how flour rockets work. 6th July 2018 - Day 199 update - Raketfued's Phoenix 3D d78 nosecone, UNSW visit, Day 198 Update - casual flights and Macquarie Uni Astronomy Open Night. 22nd June 2018 - Horizon Part #4 video has been uploaded. 19th June 2018 - Updating website to make it more mobile friendly. We will update the majority of pages to the new format over the coming months. Please let us know if you have any issues with this format. 14th May 2018 - New personal altitude record of 2,016 feet was set at Mullaley NSW. 16th August 2017 - Skittles in Microgravity, We fly a bunch of skittles in a rocket and see what happens when they are left to float free. 20th April 2017 - Light Shadow Level 1 HPR Certification Attempt. We fly Light Shadow a couple of times on H motors for our Level 1 HPR certification. 11th April 2017 - Liquids in near-Zero G. We look at what happens to liquids during flight, and what we can learn from that. 28th March 2017 - Highlights from day 184 flying the Axion G6 rocket. Also we have a close look at a rocket made by Francois Herzig. How can I make my rocket fly higher? Here are 30 tips you can try to get your rocket to fly higher. How do I attach a parachute to my rocket? 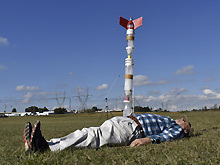 See the Recovery Guide for many ideas how to make your rocket come back safely. Here are step-by-step instructions on how to build a parachute deployment mechanism. How much water should I put in my rocket? This will depend on your rocket, but generally 1/3 is close enough to optimum. If you want a more accurate answer then here is a full article on how much water to use. My rocket doesn't fly straight, what's wrong? Here are some suggestions on fixing common problems with a rocket that doesn't fly straight. How much pressure can a 2L bottle hold? 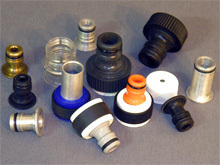 This will vary from bottle to bottle and you will need to do pressure tests for each particular bottle, but thin walled 2L bottles can hold around 120psi.